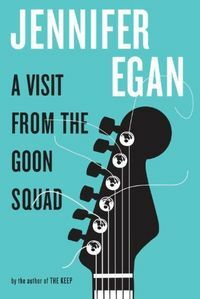 Although tangentially, Italy is present in Jennifer Egan’s book A Visit from the Goon Squad, and I needed to pay attention to it. It is a great novel, but not really a novel, as it is made up of stories that are closely connected. The stories span a few decades, from the 1960s to today, and we follow the lives of an aging rock music executive, his secretary, and a number of their friends. The plot will take you to California, New York, Italy, and Africa. Jennifer Egan is a writer to follow: She won the National Book Critics Circle Award in 2010 and the Pulitzer Prize for Fiction in 2011. Enjoy!